We open with all the Michael conflict on high - her new uniform shows her new position, her lack of rank is clear. Tilly brings adorkable friendly welcome but Georgiou’s personal effects being delivered remind us of what she’s lost and how far she’s fallen. She also has an awkward discussion with Saru in a lift, his threat ganglia flaring - he may have called her an asset and sung her praises last episode but that was when he knew she was temporary. Her hanging around reinforces her threat and what he fears from her - it makes him a lot more hostile. Saru is all about risk analysis - and Michael is now waaay too risky. Lorca is fully preparing his ship for war the with the klingons, assuming they will get the Magic Mushroom Drive working - the problem is that he’s assuming (at least for a while) that their ship will be the only one with it - which means his crew need to get used to charging into combat completely unsupported. The simulation he runs is… not reassuring. So Lorca continues on his skirting on the edges of evil by showing Michael the monster he has - the creature that attacked them last episode. Because it can cut through hulls and is nearly invulnerable he’d like Michael to make shiny shiny weapons out of it. 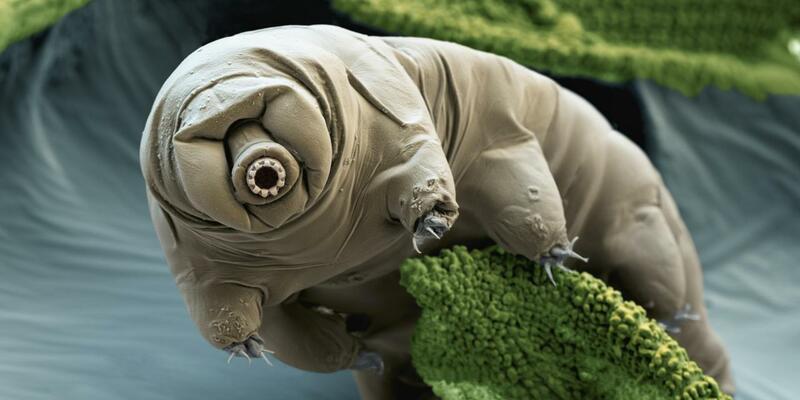 The creature also resembles a tardigrade, albeit much much bigger. These things are also pretty invulnerable and also surprisingly cute, if microscopic. Landry joins her in investigating the monster, calling it “Ripper” and focusing very much on it being an aggressive monster. Michael is more focused on information and knowledge and refuses to just believe it as a monster rather than as an “unknown alien”. 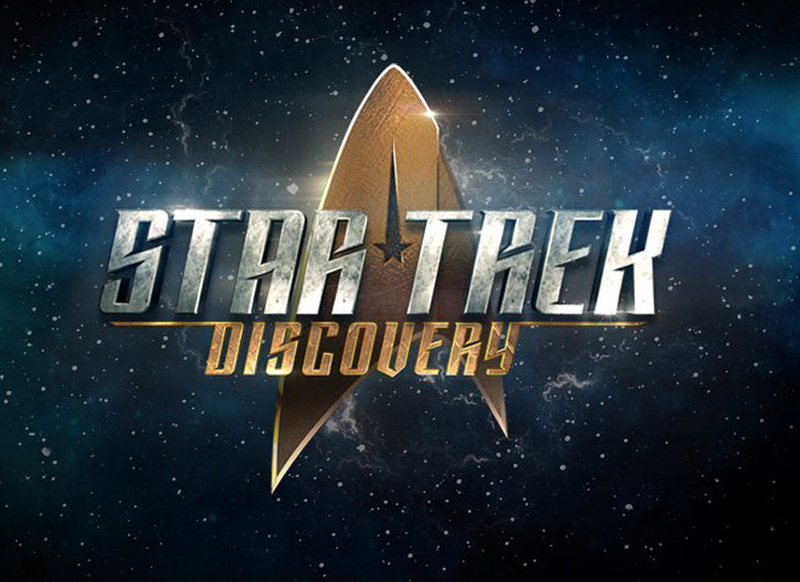 Time for action: Klingons are raiding a strategically vital mining colony and only the Discovery with its Magic Mushroom Drive can get there in time. Lorca assures his superiors they can… Lorca is… fudging a little here. And I get annoyed - she had potential to be a decent character but instead she decided to release a SHIP DESTROYING monster with no realistic containment protocols? What kind of security chief is she? In the end she was killed just to show the consequences of Lorca’s emotional manipulation, not to actually develop her in any real way. Communicate with mushrooms. I typed this. I actually typed this. It works, allowing complete transport anywhere - but Michael is visibly concerned seeing the obvious distress of the Tardigrade. Kol, the Klingon leader of Great House Kor who previously scorned T’kuvma returns - being all polite and humble. Mainly because he wants the shiny cloaking technology and is willing to share and play nice to get it. Spurred by this, Voq and L’rell go to the Shenzhou to take the part they need and they bond happily together - lots of chemistry and respect. But when they return to their ship they find that Kol has taken over, feeding his starving crew to win their loyalty. Voq defies - but L’rell seems to openly transfer her loyalty to Kol - though she does argue that Voq be banished to the Shenzhou rather than killed. Because she’s crafty and cunning. I’m interested in meta-themes in this show - one of which seems to be purity of message or philosophy. On the one side we have Lorca, all about his shades of grey and clearly not really living up to the lofty utopian ideals that Star Fleet is supposed to embody - that Star Trek in general is supposed to embody. The question, inevitably, is how will “practical” compromising of these ideals affect him, affect his crew, affect his mission. Similar we have Voq, desperately wedded to purity, being willing to starve rather than use human technology and risk assimilation. He’s the other extreme from Lorca and shows just how useless purity can be, as L’rell points out. Of course, the interesting counter to this is something that struck me from the first episode - T’kuvma described the human threat as “we come in peace”. Not attacking or conquering - but assimilating, overwhelming, stripping them of their cultural identity. Star fleet is a threat not from violent conquest, but Cultural Imperialism. Given show after show following this prequel of human-dominated Star Fleet which eventually draws the Klingons in as well (klingons which may lack many of the rituals these klingons seem to value), is he wrong? Both Lorca and Voq are facing questions of compromising their core ethics for the sake of practicality and utility - but if they go too far they risk undermining exactly what they’re fighting for.